About a year ago, we posted an article about an iron pour that took place in Lanesboro. Click here to read that article. The Lanesboro Art Center is again hosting an Iron Pour and you have an opportunity to participate. 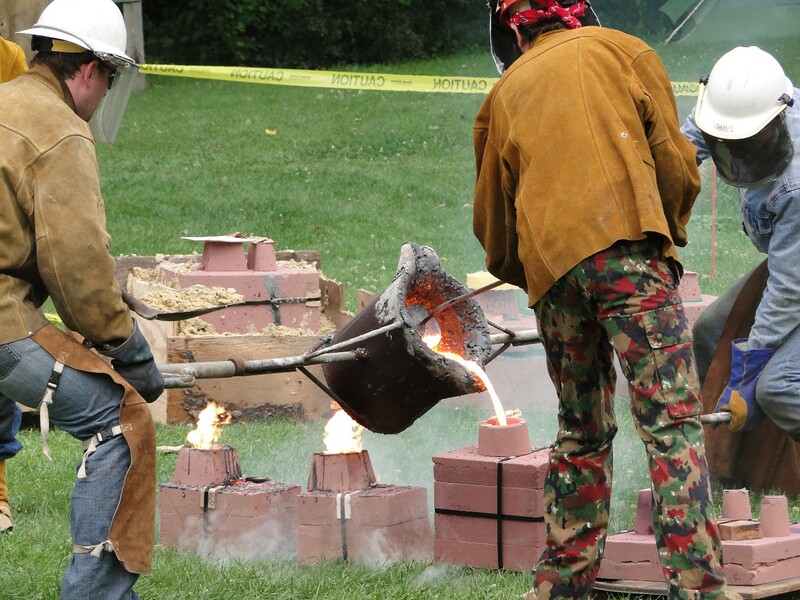 Participants will carve a reverse relief designs into pre-made sand molds to prepare them for the iron pour. 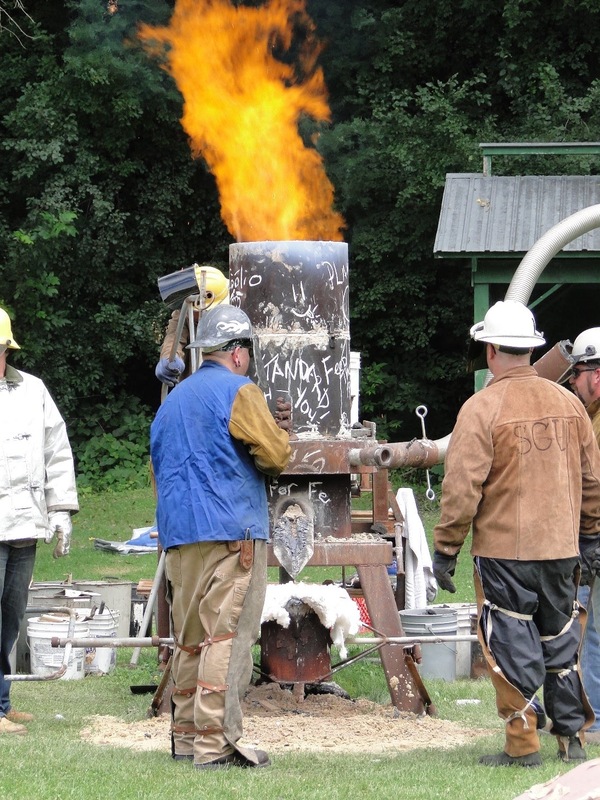 Then watch as crews pour hot, molten iron into the molds. It's an amazing event you won't want to miss. 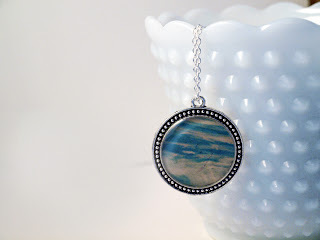 This week Erin of Penguin Palace Photography is giving away this beautiful pendant. The pendant features image of clouds taken from the window of an airplane. 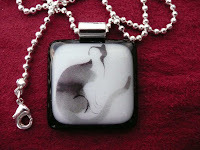 The photo is set into an antique silver pendant and covered in resin. The resin is water resistant but not waterproof (so no swimming!). It also includes a matching silver chain. 6. Follow Penguin Palace on Twitter. Comment back here with your Twitter link. Existing followers just leave your Twitter link here. Contest ends Saturday, July 9, 2011, at 12:00 noon Central. One winner will be chosen by Random.org. An eccentric old man once told me, in late June after I had sneezed, that I had rose fever. You know: like hay fever. Well, I'm happy to report that roses do not make me sneeze—I've stuck my nose in them often enough to be certain! But I think I do have rose fever of a different sort, and who doesn't? 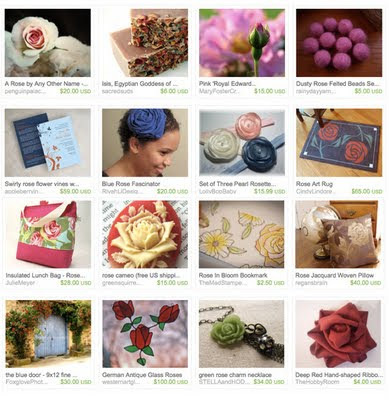 Judging by the amount and variety of rose-themed art among the members of the Minnesota Etsy team, I'd say we all do! I hope you get outside this weekend during the respite from our monsoon season and smell the roses! Rose Fever, with Love, from Minnesota! This week Laurel of laurelleecreativity is giving away this wonderful headband. Handmade with love. 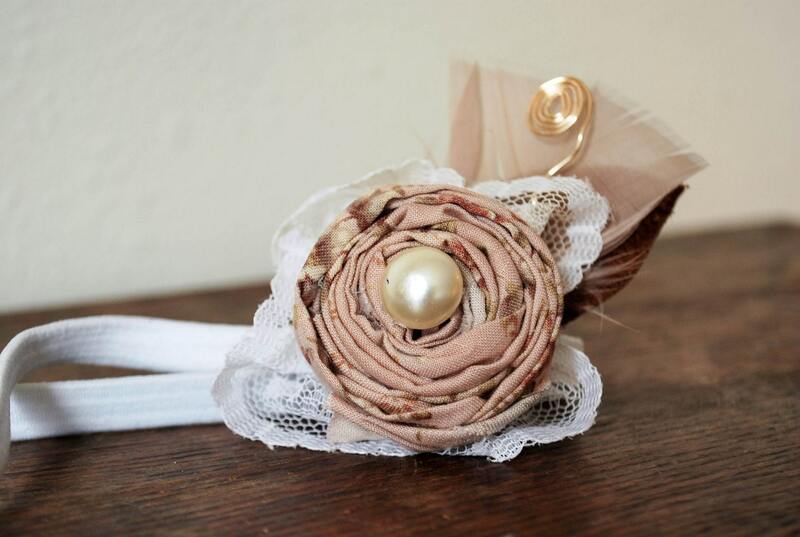 Headband with lace and floral fabric flower, pearl bead, leather and feather for petal. 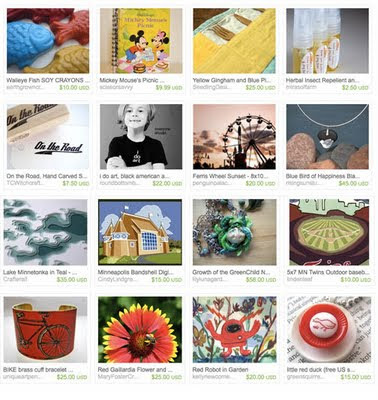 Visit Laurel's shop, pick your favorite item and leave a comment on this post about it. 7. Follow the Create blog. Leave a comment here letting us know you are a follower. If you are already a follower, leave a comment anyway, as each comment is an entry. Contest ends Saturday, July 2nd, at 12:00 noon Central. One winner will be chosen by Random.org. 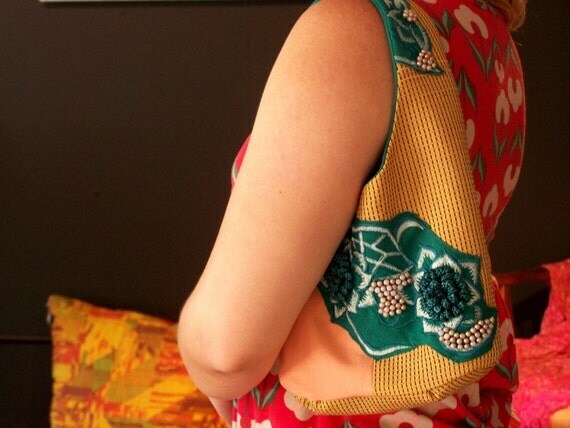 Today we're getting to know Virginia Berry of YazBerry Fasion who lives in Northfield. What do you make and why? I make so many things, I love challenging myself to make different things. I try to focus on things that involve textiles like purses, clothes and table linens. I feel good making things. When I'm making things, life feels right. Where do you do your making? I like working at home. I've moved a lot the last few years and always have made sure to have a room for creating. It's always a mess, filled with supplies and the only spot that is organized is the fabric shelves...they are always sorted by color. What is your favorite part of the process? I have a knack for seeing an item (clothing item often) in a store and wanting to turn it into something else, like a purse. I know right away what I will do with it. What do you listen to (or watch, maybe) while you are working? I like listening to music. I have a wide spanning taste in music so it changes from CD to CD. I also enjoy books on tape since my free time is spent creating, I don't get to read a lot, but do enjoy a good story. Tell us something else that we don't know: When I'm not creating or at my day job, I like to play cello, sports and poke sticks at nature. This week Jenny of Jenny Bunny Creations is giving away these lovely earrings. 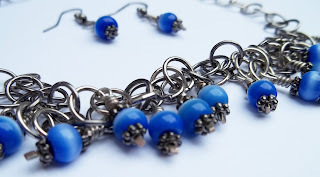 Jenny's Heat Earrings feature three sizes of beads, all wire-wrapped and dangling from an antique brass hoop. The tangerine beads make these earrings sweet but funky. The earwires are brass but Jenny is willing to switch them to silver if the winner needs it. 5. Follow Jenny's blog. Leave a comment here letting us know you are a follower. Existing followers can leave a comment here too. 7. Follow Jenny Bunny on Twitter. Comment back here with your Twitter link. Existing followers just leave your Twitter link here. 9. Become a Facebook Fan of Jenny Bunny Creations. Comment back here with your Facebook name. Existing fans just leave your Facebook name here. Contest ends Saturday, June 25, 2011 at 12:00 noon Central. One winner will be chosen by Random.org. Fun Friday Finds ~ Craft Party! Minnesota is celebrating its first Unraveled DIY Festival. "The festival is an opportunity for the younger generation of surface design enthusiasts and crafters to showcase their work." It is being presented by the Textile Center in conjunction with the 2011 International Surface Design Association Conference. HandmadeMN will be well represented at the craft show which is part of the event. 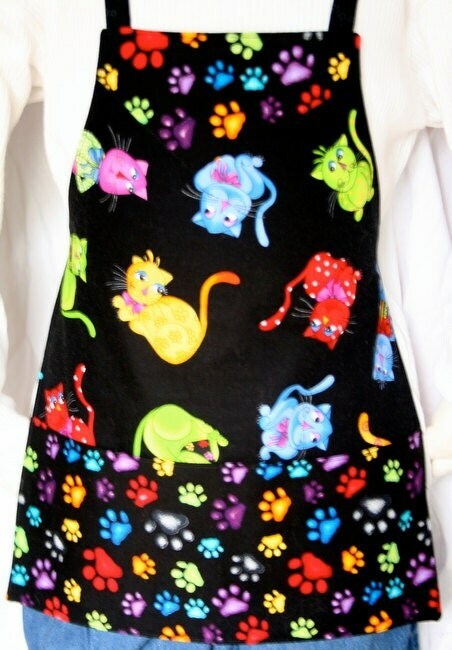 Caddie Jo Designs will be brining her delightful little girls' raincoats. Flower photography and crocheted accessories will be available in MaryFosterCreative's booth. You will also find MyFriendLondon's hands-on yarn, dyed yarn, and soy votives at the show. And Suz and Roo will be showcasing her fun handmade jewelry. This week Amy of Amy Lou Jewelry Designs is giving away this trendy bracelet. The Delaney bracelet is a bracelet made using leather cord and purple irridescant glass beads. 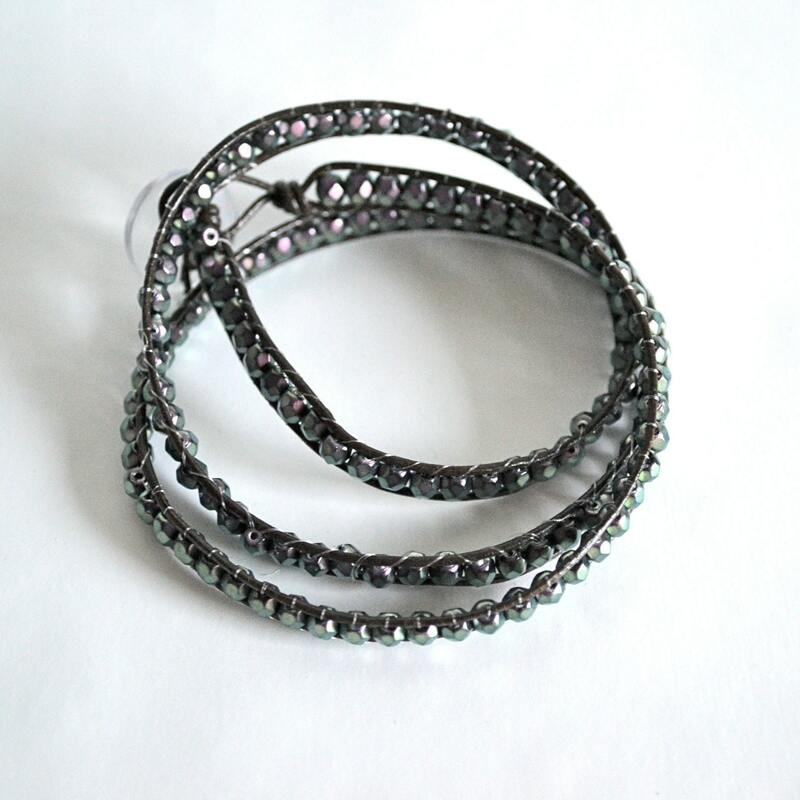 This trendy bracelet is made as a wrap bracelet and wraps around the wrist 3 times (20" long). It closes with a clear button loop closure. 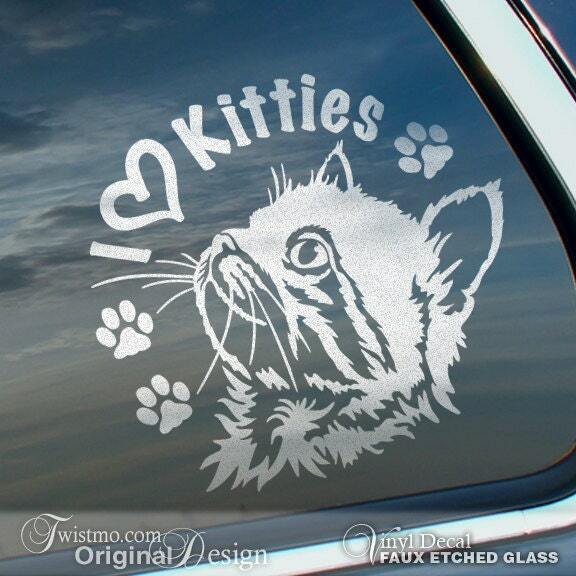 Visit Amy's shop, pick your favorite item and leave a comment on this post about it. 7. Become Amy's Facebook Fan. Comment back here with your Facebook name. Existing fans just leave your Facebook name here. Contest ends Saturday, June 18th, at 12:00 noon Central. One winner will be chosen by Random.org. School's Out, Time for Summer Fun! 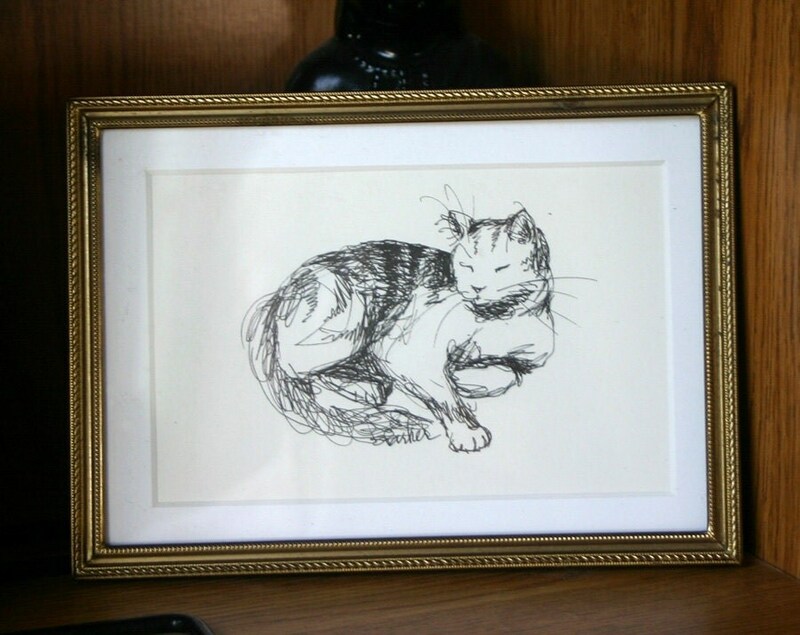 This month's challenge theme was "kitties". Check out the great entries below, then scroll all the way to the bottom to vote for your favorite! The winner will receive an advertising spot on our blog. Voting ends at midnight on June 15.